A century ago the assassination of the heir to the Austrian throne in the streets of Sarajevo would take Great Britain on path of thirty-seven days to war, leading to the declaration of war against Germany on 4th August 1914. The plan to mobilise a British Expeditionary Force (BEF) and take it to France was then implemented, with the first troops arriving as early as the next day, 5th August. 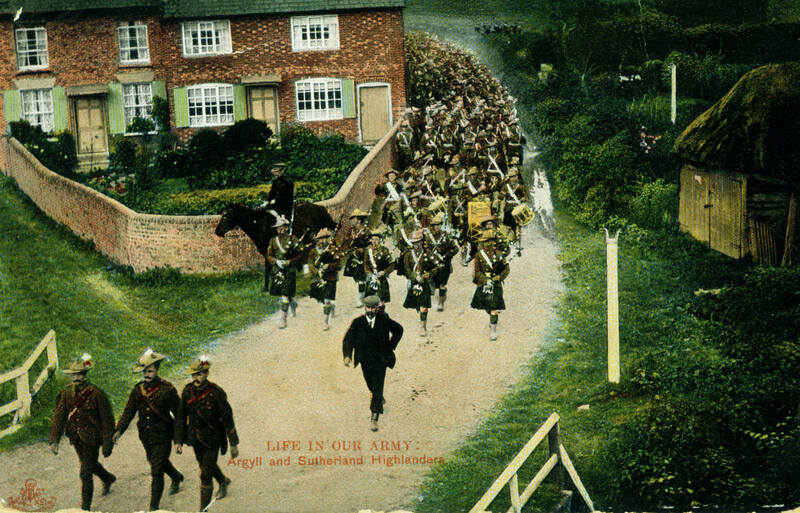 While the diplomacy was in operation, in the countryside of Great Britain a century ago the Territorials were heading off to the annual camps as the summer holiday period approached. Men who met regularly in local drill halls looked forward to the annual camp where all the localised companies came together as one unit. 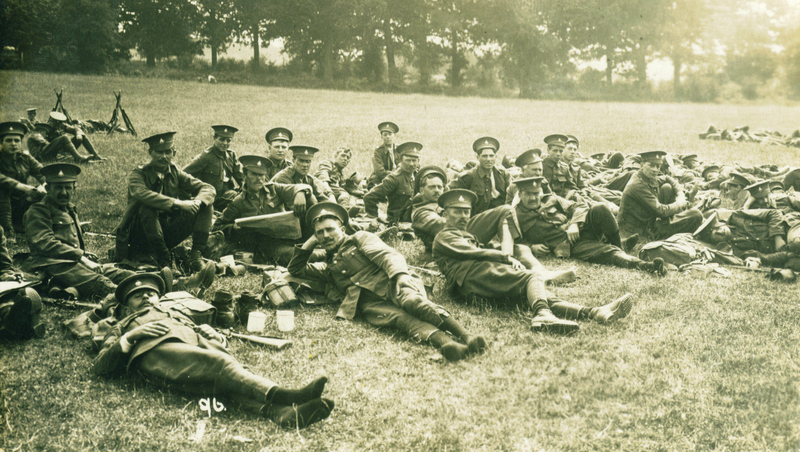 With the faint wisp of war in the air, Britain in the summer of 1914 was already becoming a land where the sight of khaki was commonplace, as with these men of the Royal Sussex Regiment (above) at their annual camp in Arundel in 1914. Few knew that this was just the start of it. This entry was posted on 29/06/2014 by sommecourt. It was filed under 1914, 2014-2018, BEF, British Army, Flanders, France, Great War, Western Front, WW1, WW1 Centenary and was tagged with 1914, 2014, 2014-2018, Arundel, BEF, Flanders, France, Great War, GreatWar100, Royal Sussex Regiment, Western Front, WW1.